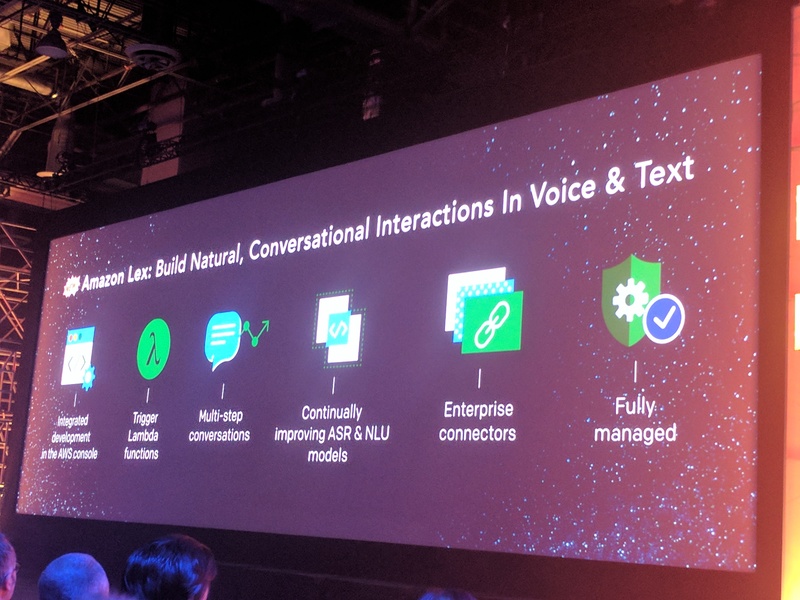 Amazon today announced the launch of its new Amazon AI platform at its re:Invent developer event in Las Vegas. This new service brings many of the machine learning smarts Amazon has developed in-house over the years to devs outside the company. For now, the service only makes three different tools available, but the plan is to add more over time. 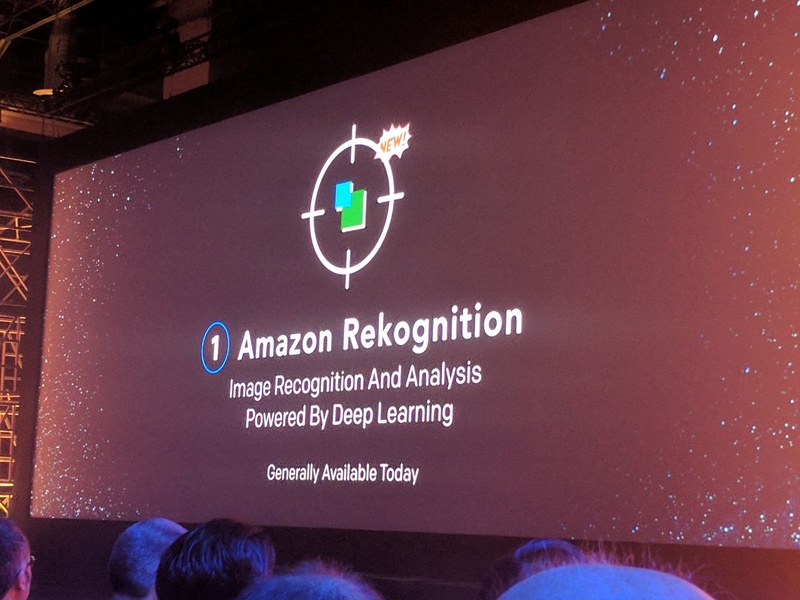 The first of these new services under the Amazon AI umbrella is an image recognition service called “Rekognition.” It allows you to recognize objects and scenes, similar to services already available from Google, Microsoft and others. Amazon did stress that its system is smart enough to recognize the breed of dog is sees in an image, though it’s worth noting that its competitors can often do this, too. Jassy noted that the service is very cost-effective, though he didn’t announce pricing. Polly features 47 male and female voices and supports 24 languages. 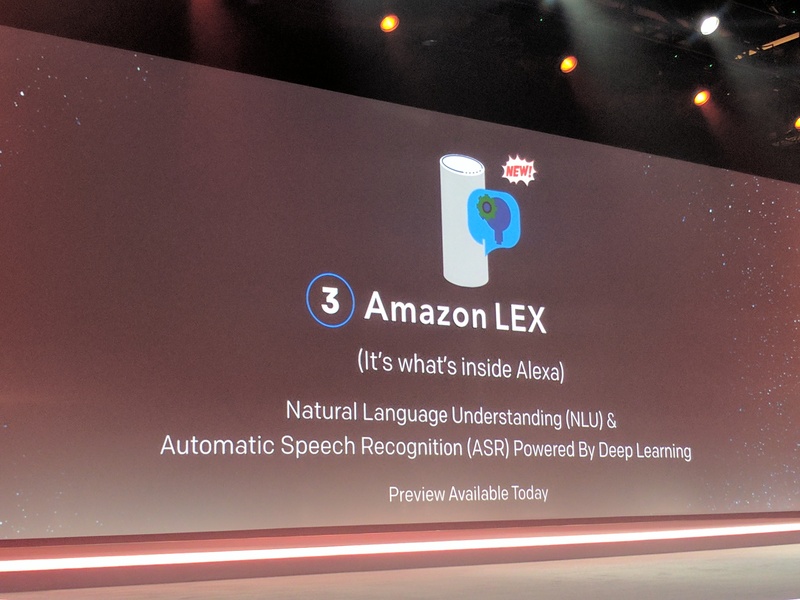 The third, and probably most important new service is called “Lex.” This, Jassy said, is essentially the technology that fuels Amazon’s own Alexa service. It allows you to build conversational applications that can feature multi-step conversations. Developers start designing their conversations in the Lex Console, where the can train the bot with a few sample phrases. During today’s keynote, Amazon showed how this could allow a developer to easily book a flight with just your voice (somehow, that’s becoming the canonical demo for all of these services). Lex is deeply integrated with Lambda and other AWS services and comes with a number of enterprise connectors, too. 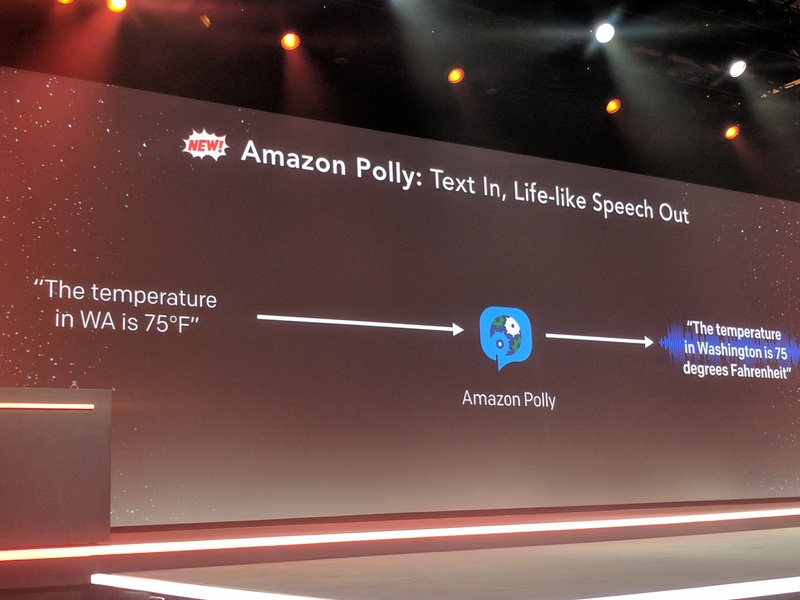 In addition, it’s integrated with Facebook Messenger, Slack and Twilio, so it’s not just bound to Amazon’s own devices but could be built into virtually any other device, too.